Tambor Class Submarine: Laid down, 16 January 1939, at Electric Boat Co., Groton, CT.; Launched, 20 December 1939; Commissioned, USS Tambor (SS-198), 3 June 1940; Decommissioned, 10 December 1945, at Portsmouth, NH; Laid up in the Atlantic Reserve Fleet; Placed in service and assigned to Naval Reserve Training Center, Detroit, MI., from April 1947 to 1959; Struck from the Naval Register, 1 September 1959; Final Disposition, sold for scrapping. 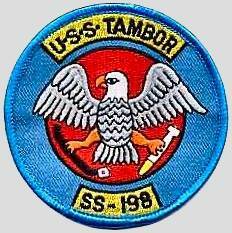 Tambor received 11 battle stars for World War II service. 13k The Sebastes ruberrimus Tambor or Red Rockfish. Photo courtesy of mbayaq.org. Monterey Bay Aquarium Foundation. 19k Commemorative postal cover marking the keel laying of the Tambor (SS-198), 16 January 1939, at Electric Boat Co., Groton, CT. Courtesy of Jack Treutle (of blessed memory). 305k Tambor (SS-198) keel laying, 16 January 1939, at Electric Boat Co., Groton, CT. Electric Boat photo # 23763 via NARA College Park, courtesy of Tracy White @ Researcher @ Large. 439k Topside looking aft, 5 July 1939. Electric Boat photo # BS 23772 via NARA College Park, courtesy of Tracy White @ Researcher @ Large. 331k Forward torpedo room looking aft, 10 July 1939. Electric Boat photo # BS 23770 via NARA College Park, courtesy of Tracy White @ Researcher @ Large. 295k After torpedo room looking aft, 25 September 1939. Electric Boat photo # BS 23767 via NARA College Park, courtesy of Tracy White @ Researcher @ Large. 80k Miss Lucia Long Ellis, Sponsor for the Tambor (SS-198), breaks a bottle of champagne on the boat's bow. The date was 20 December 1939 at 4:15PM. Electric Boat Photo courtesy of Ric Hedman. 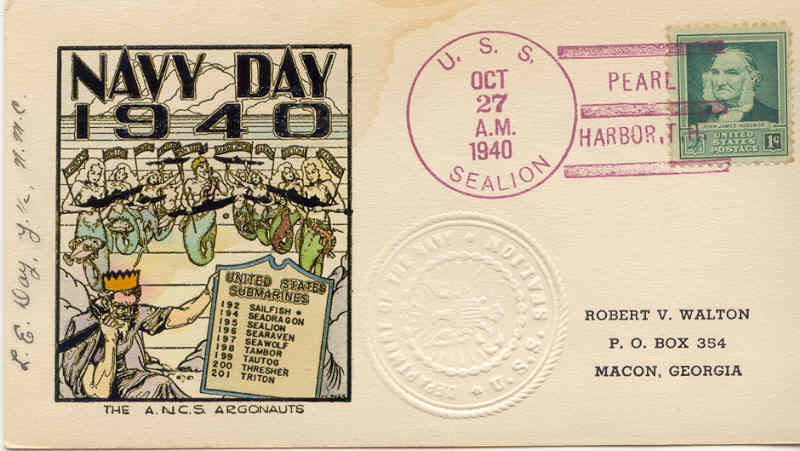 21k Commemorative postal cover marking the Tambor's (SS-198) launching, 20 December 1939. Courtesy of Jack Treutle (of blessed memory). 361k Aft port side, looking forward, 2 April 1940. Electric Boat photo # BS 23775 via NARA College Park, courtesy of Tracy White @ Researcher @ Large. 312k Bow starboard side, looking aft, 2 April 1940. Electric Boat photo # BS 23776 via NARA College Park, courtesy of Tracy White @ Researcher @ Large. 417k Full length stern view of the Tambor (SS-198), off Provincetown, Mass, 8 April 1940. Bureau of Ships # 21809 from National Archives and Records Administration (NARA), College Park, Maryland, courtesy of Sean Hert. 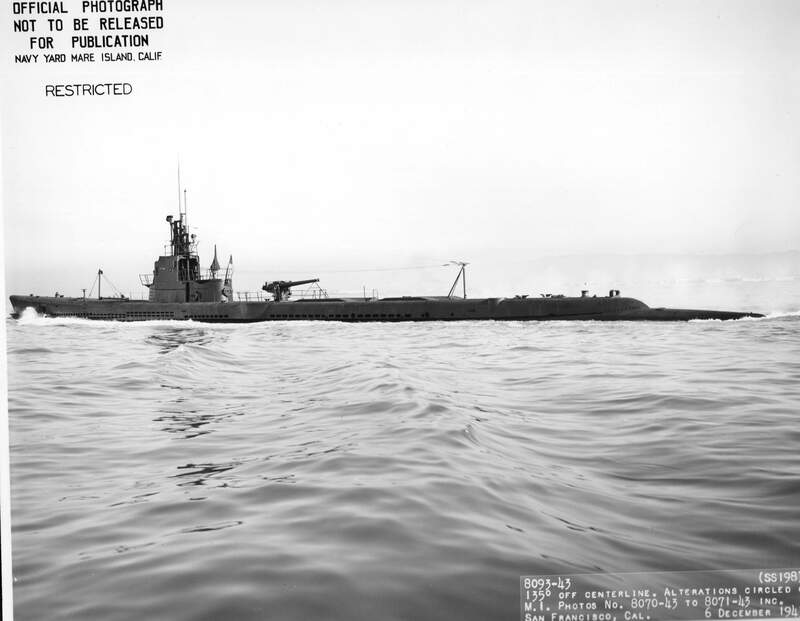 420k Tambor (SS-198), off Provincetown, Mass, 8 April 1940. Bureau of Ships # 21810 from National Archives and Records Administration (NARA), College Park, Maryland, courtesy of Sean Hert. 19k Commemorative postal cover marking the commissioning of the Tambor (SS-198), 3 June 1940. Courtesy of Jack Treutle (of blessed memory). 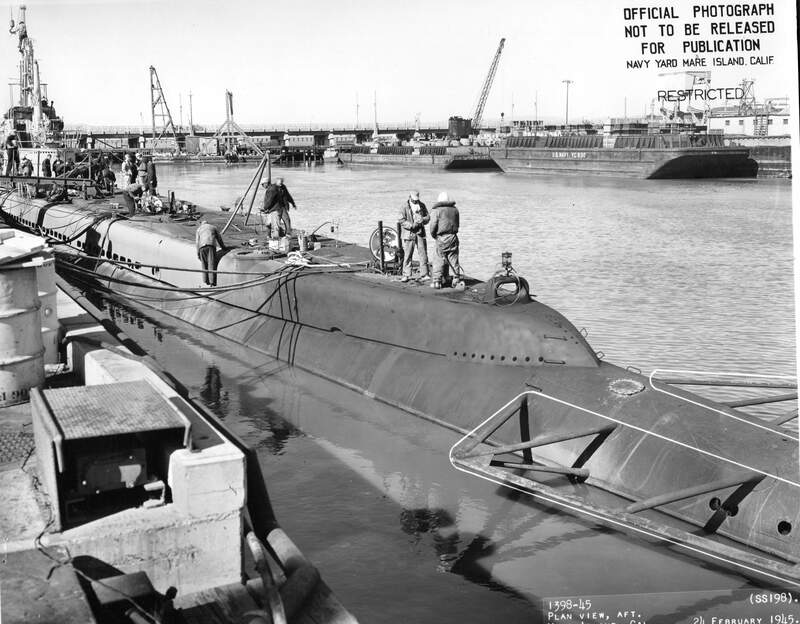 121k Among the newest and most powerful of U.S. submarines, the Tambor (SS-198) was commissioned in 1940. Ten 21 inch torpedo tubes, six fore and four aft, plus its 3 inch deck gun and two anti aircraft machine guns make it a craft to be feared by the enemy. Displacement is 1,450 tons on the surface, length almost 300 feet, and speed almost 22 knots. 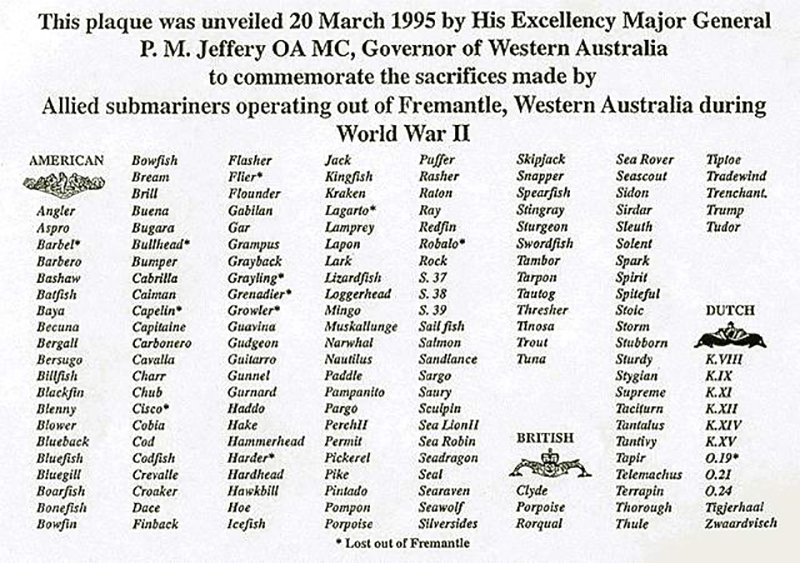 Such submarines often have a range of 15,000 miles. Text courtesy of CARD-O chewing gum. 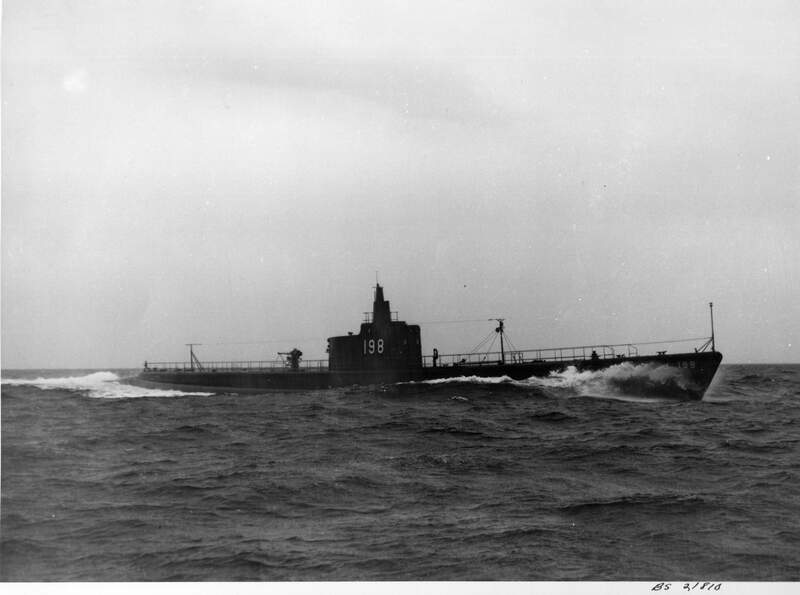 137k Tambor (SS-198) underway during her shakedown period off the New England coast, circa 1940. USN photo courtesy of Scott Koen & ussnewyork.com. 16k Commemorative postal cover marking the Tambor's (SS-198) visit to Coco Solo, Panama Canal Zone, in September 1940. Courtesy of Jack Treutle (of blessed memory). 696k Tranquil town setting finds the Tambor (SS-198) underway in a New England river. USN photo courtesy of Scott Koen & ussnewyork.com. 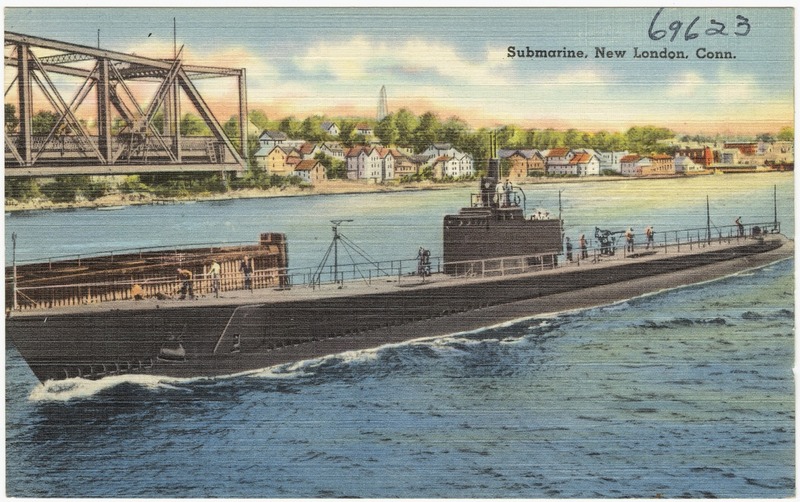 513k One of 23,423 post cards in the Tichnor Brothers Collection depicting the Tambor (SS-198) underway in a New England river. Photo 06_10_004309 courtesy of The Tichnor Brothers Collection from the Boston Public Library via digitalcommonwealth.org. 19k Commemorative postal & photo inset of the Tambor (SS-198) 2 September 1940. Courtesy of Jack Treutle (of blessed memory). 203k These U.S. Navy diagrams show how the Torpedo Data Computer (TDC) was to have been used. At left is the pair of own and target dials, showing the target and the submarine. The officer making the approach had to work out the course needed to obtain a given track angle. If the two dials were mentally superimposed (as at center), they showed the angle between the courses of the submarine and the target. For a stern shot, the necessary course angle appeared opposite the angle on the bow corresponding to the desired track angle. For a bow shot, the necessary course angle was read off 180 degrees from the angle on the bow. True (as well as relative) bearings were shown on these dials because they corresponded to directions actually steered. Arrows on the TDC indicated torpedo course and gyro angle, as shown at right (solid arrow for bow tubes, broken arrow for stern tubes). The arrows on the target dial indicated present track angle, the angle at which the torpedo would hit if it were fired at any given moment (i.e., how good a shot was likely to be). Present track angle for a straight shot could be read off the dials by transposing the number on the outer ring opposite the submarine's disengaged axis to the target outer ring, then reading the corresponding inner number. In this example, submarine & target are on converging courses. 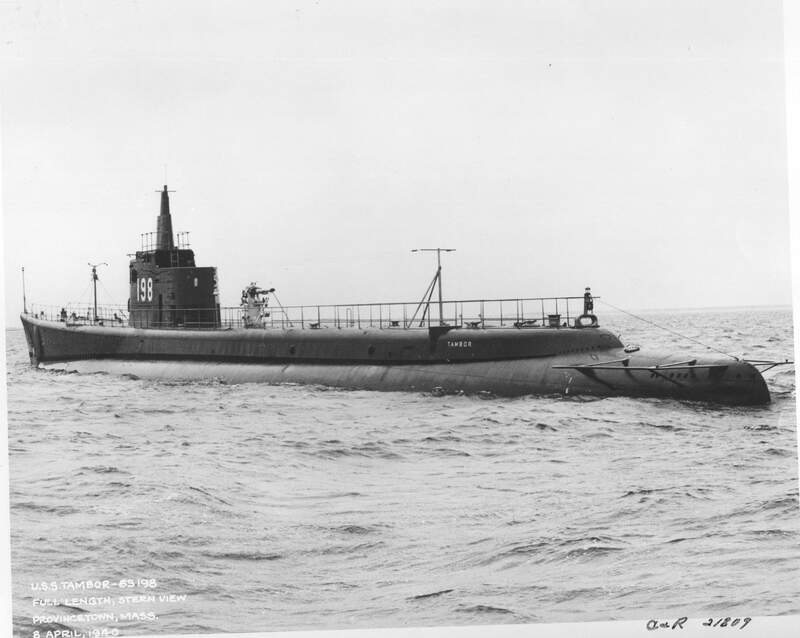 The Tambor (SS-198-203 class) was the first designed specifically to accommodate the TDC. Majority text & photo courtesy of U.S. Navy via Terry Lindell as it appeared in the book U.S. Submarines Through 1945, An Illustrated Design History by Norman Friedman. Naval Institute Press. Partial text courtesy of chinfo.navy.mil. 252k Tambor (SS-198) victim. USN photo courtesy of Scott Koen & ussnewyork.com. 597k Stern view, 4 April 1943. USN photo # 2360-43, from National Archives and Records Administration (NARA), College Park, Maryland, courtesy of Sean Hert. 561k Port quarter view, 4 April 1943. USN photo # 2364-43, from National Archives and Records Administration (NARA), College Park, Maryland, courtesy of Sean Hert. 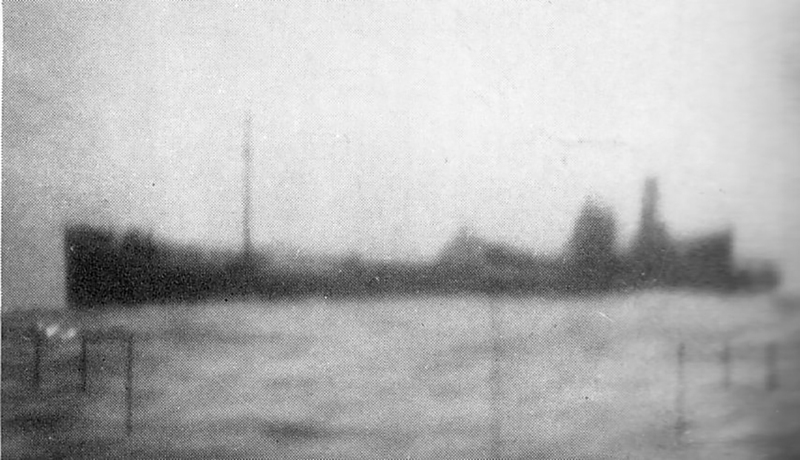 322k The cargo ship Eisho Maru pauses for photo before taking the plunge after being torpedoed by Tambor (SS-198), 29 May 1943. Image from United States Submarine Operations in World War II, by Theodore Roscoe via Robert Hurst. 671k Tambor (SS-198) Plan view amidships, looking forward, 6 December 1943. Unidentified S-boat across the bay is one of the following: S-18 (SS-123), S-23 (SS-128), S-30 (SS-135), S-32 (SS-137), S-33 (SS-138), S-34 (SS-139), S-40 (SS-145), and S-43 (SS-154). All of these boats were on the west coast during this time. 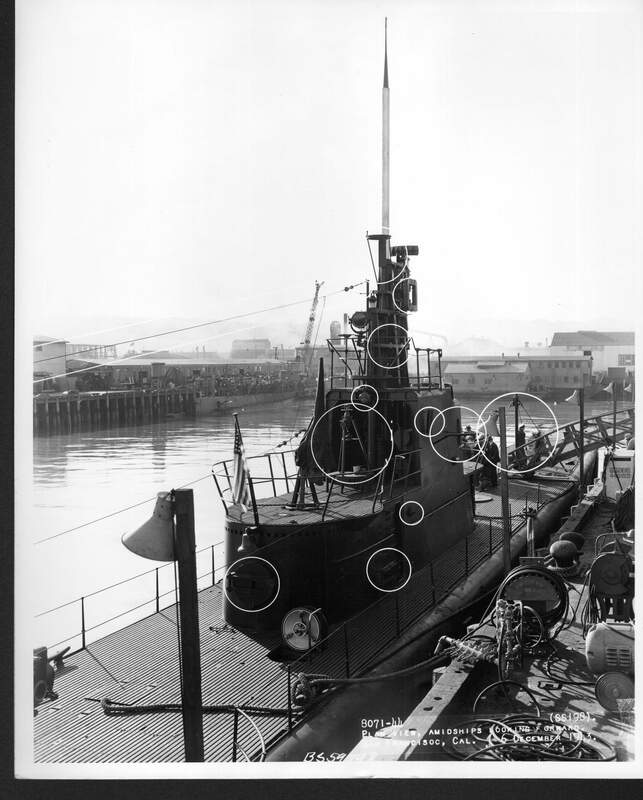 However, S-43 was known to be in San Francisco at the time of the photo and was undergoing an extensive overhaul which included the rebuilding of her aft superstructure, just like in the photo. Although I can not say for sure, I am leaning heavily towards S-43. Photo & text i.d. courtesy of Dave Johnston, (USNR). USN photo # 8071-44, from National Archives and Records Administration (NARA), College Park, Maryland, courtesy of Sean Hert. 346k Tambor (SS-198) was fitted with a 5 in/51 gun. She is shown off San Francisco after a refit, 6 December 1943. Note the double row of additional limber holes. Text courtesy of U.S. Submarines Through 1945, An Illustrated Design History by Norman Friedman, Naval Institute Press. USN photo # 19l-CM-8093, from National Archives and Records Administration (NARA), College Park, Maryland, courtesy of Sean Hert. 427k Tambor (SS-198) taken at Mare Island on 6 December 1943. Among the noticeable changes are a reduced bridge silhouette. USN photo # 19l-CM-54794, from National Archives and Records Administration (NARA), College Park, Maryland, courtesy of Sean Hert. 604k Plan view, amidships looking aft, 6 December 1943. USN photo # 8070-43, from National Archives and Records Administration (NARA), College Park, Maryland, courtesy of Sean Hert. 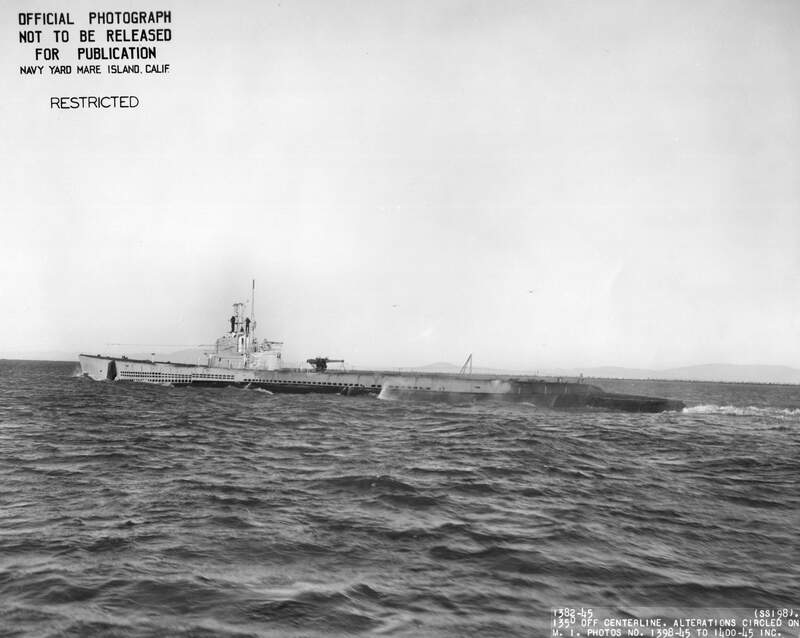 446k Bow on view of the Tambor (SS-198), off San Francisco on 6 December 1943. USN photo # 8089-43, from National Archives and Records Administration (NARA), College Park, Maryland, courtesy of Sean Hert. 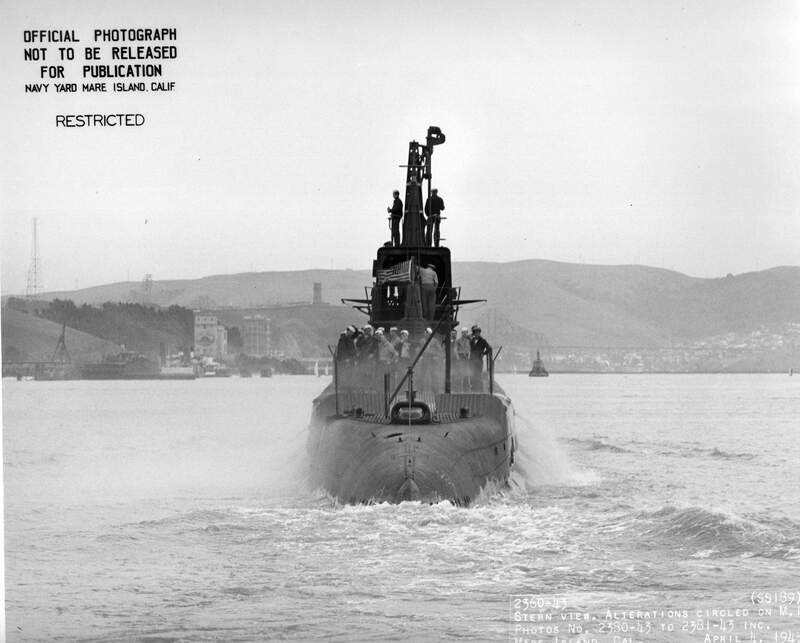 586k Stern view of the Tambor (SS-198), off San Francisco on 6 December 1943. USN photo # 8090-43, from National Archives and Records Administration (NARA), College Park, Maryland, courtesy of Sean Hert. 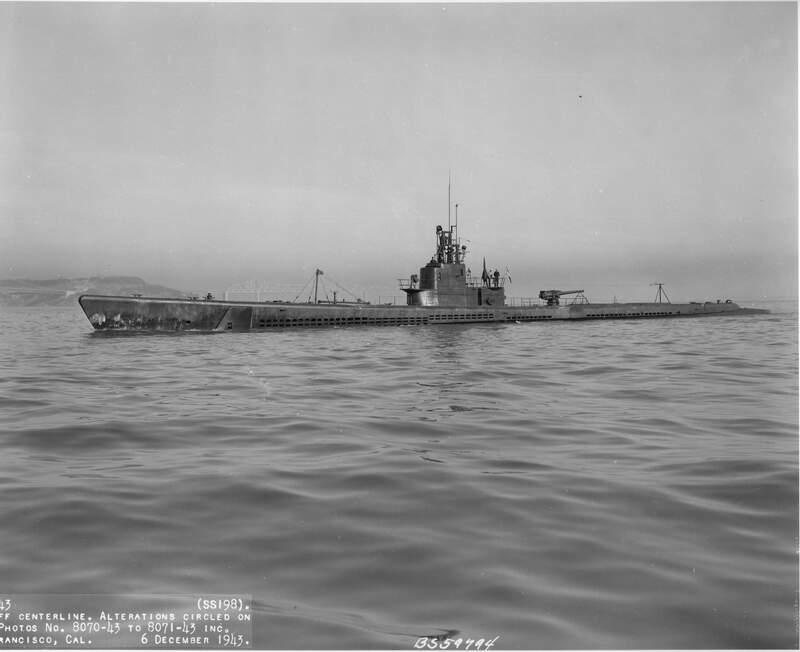 470k Broadside view of the Tambor (SS-198), off San Francisco on 6 December 1943. USN photo # 8092-43, from National Archives and Records Administration (NARA), College Park, Maryland, courtesy of Sean Hert. 440k Pre-war view of the Goyo Shosen KK - owned general cargo ship underway. In 1941-42 the IJN converted Goyo Maru (8,469 grt) into a fleet tanker; severely damaged and beached at Truk 16 May 1942 after torpedo attack by Tautog (SS-199); salvaged; torpedoed and sunk on 3 February 1944 while in convoy, NE of Formosa (29 degrees 11' N, 124 degrees 45' E) by Tambor (SS-198). Photo courtesy of Japanese Naval Vessels of World War Two as seen by U.S. Naval Intelligence". Text taken from two sources: "Warships of the Imperial Japanese Navy, 1869-1945" by Jentschura, Jung and Mickel, translated by Antony Preston and J.D. Brown, and "The World's Merchant Fleets 1939" by Roger W. Jordan, courtesy of Robert Hurst. 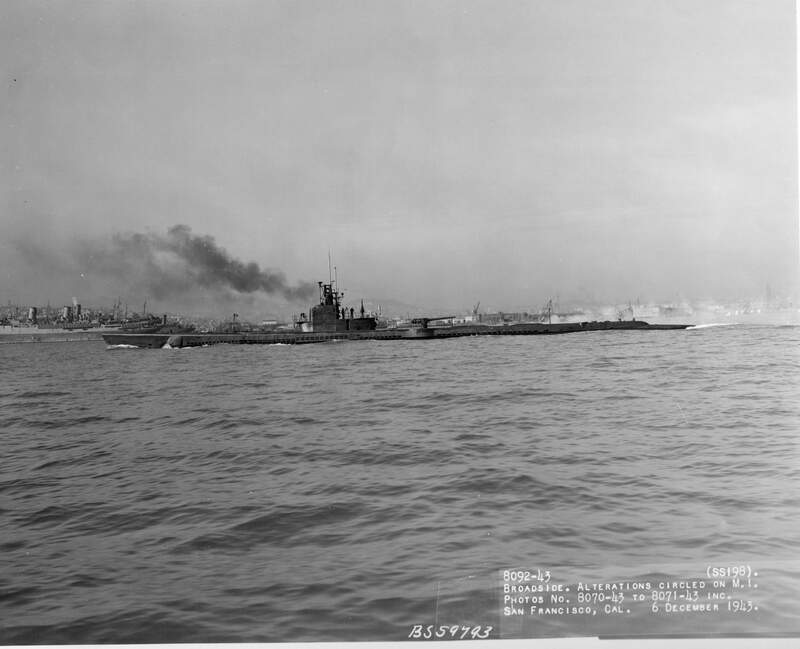 414k Broadside view of Tambor (SS-198) off Mare Island on 23 February 1945. USN photo # 1381-45, from National Archives and Records Administration (NARA), College Park, Maryland, courtesy of Sean Hert. 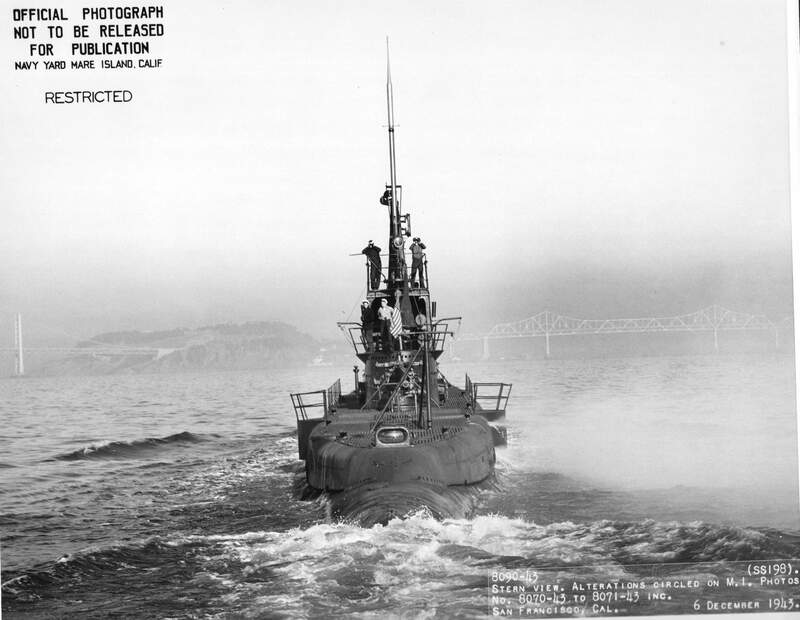 407k Full length stern view of the Tambor (SS-198) off Mare Island on 23 February 1945. USN photo # 1382-45, from National Archives and Records Administration (NARA), College Park, Maryland, courtesy of Sean Hert. 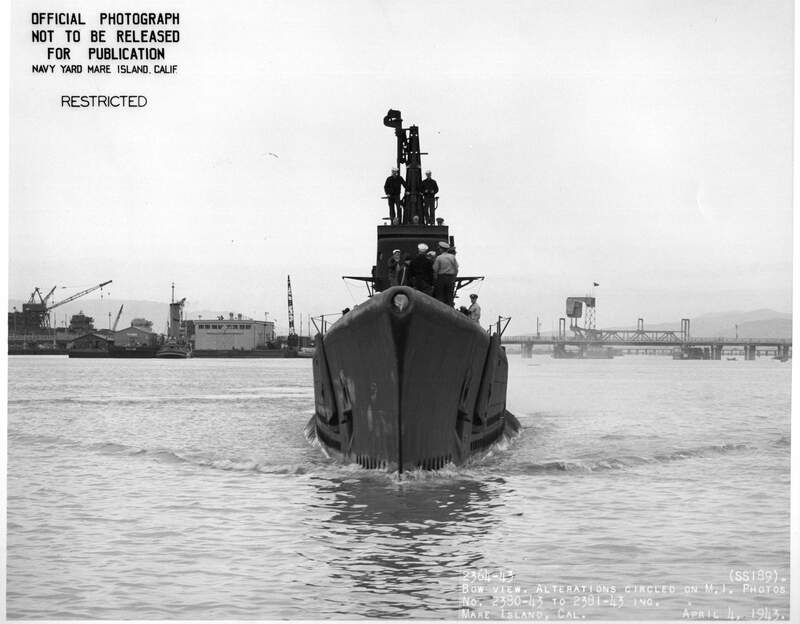 423k Port quarter view of the Tambor (SS-198) off Mare Island on 23 February 1945. USN photo # 1379-45, from National Archives and Records Administration (NARA), College Park, Maryland, courtesy of Sean Hert. 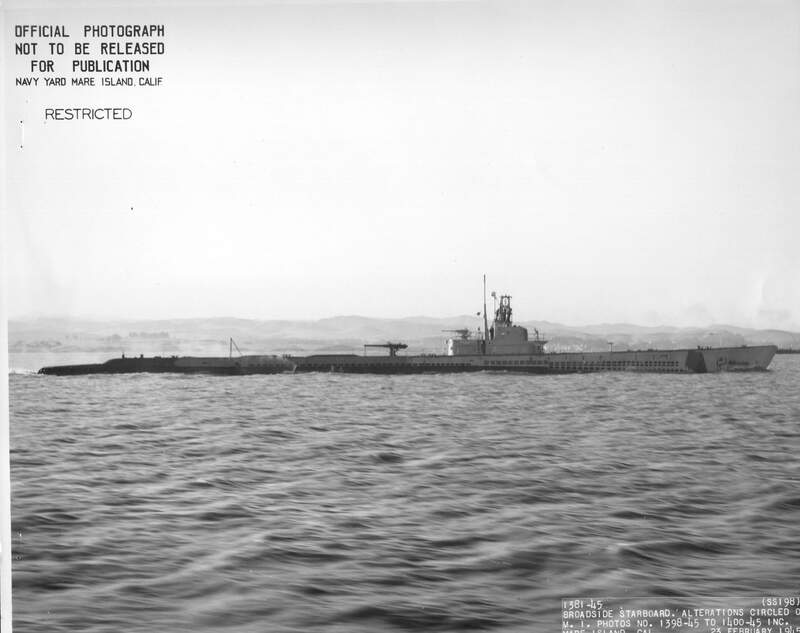 700k Aft plan view of Tambor (SS-198) at Mare Island on 24 February 1945. She was in overhaul at the yard from 11 December 1944 until 9 March 1945. USN photo # 1398-45, from National Archives and Records Administration (NARA), College Park, Maryland, courtesy of Sean Hert. 607k Forward plan view of Tambor (SS-198) at Mare Island on 24 February 1945. 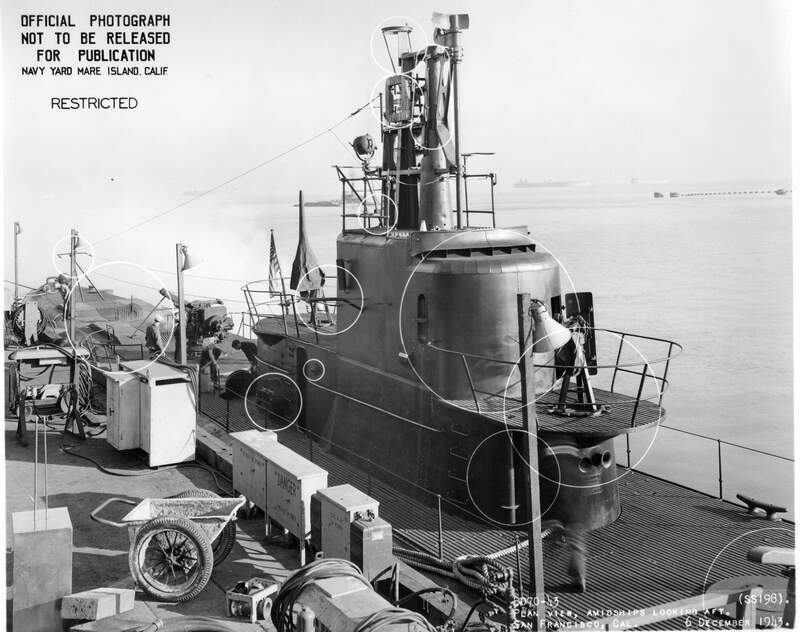 Shipyard records indicate that Ray (SS-271) and Greenling (SS-213) were berthed immediately aft of Tambor and behind these two boats were Cero (SS-225) and Raton (SS-270). USN photo # 1400-45, from National Archives and Records Administration (NARA), College Park, Maryland, courtesy of Sean Hert. 217k Tambor's (SS-198) battle flag. USN photo courtesy of Scott Koen & ussnewyork.com. 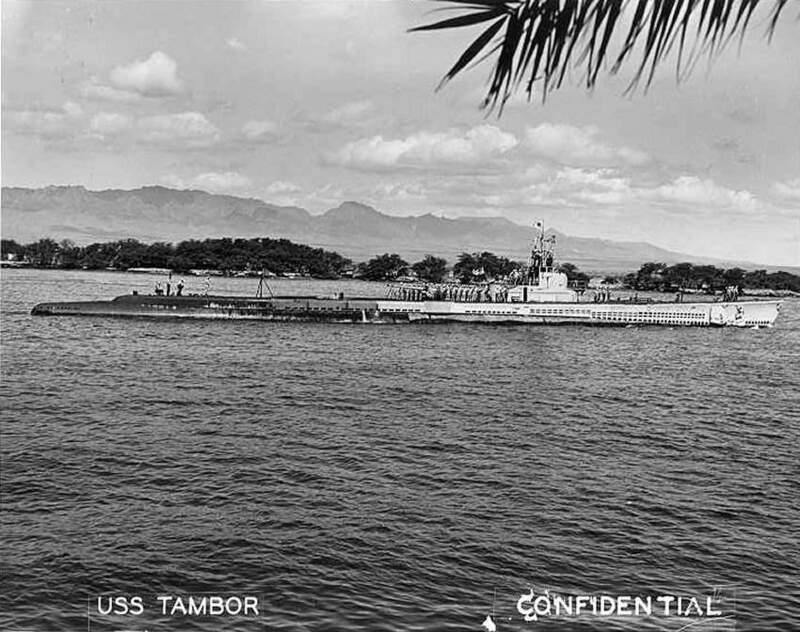 185k Routed onward to the United States, Tambor (SS-198) arrived at San Francisco on 10 December 1944. 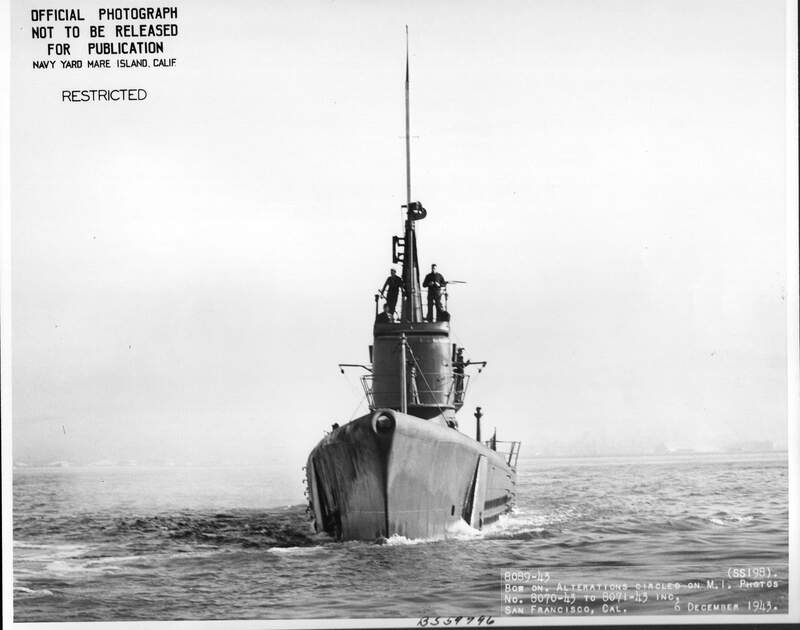 After an extended overhaul, the submarine sailed for Puget Sound on 9 March 1945. Upon her arrival there, Tambor began training operations with Navy patrol aircraft under Fleet Air Wing 6. On 17 September, she departed the west coast for Portsmouth, N.H. Tambor was decommissioned there on 10 December 1945 and placed in reserve. Officers and CPO's of the Tambor pose on 1 August 1945. Text courtesy of DANFS. USN photo courtesy of Lance Dean. 223k Award ceremony at Puget Sound for the Tambor's (SS-198) crew on 1 August 1945. USN photo courtesy of Lance Dean.